A day at leisure in the Kensington area for sightseeing, museums and shopping. 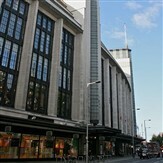 Please note you will need to walk to either Kensington High St or Knightsbridge for shopping. Free entry applies to the National History Museum, Science Museum and the Victoria & Albert Museum (charges apply for special exhibitions).